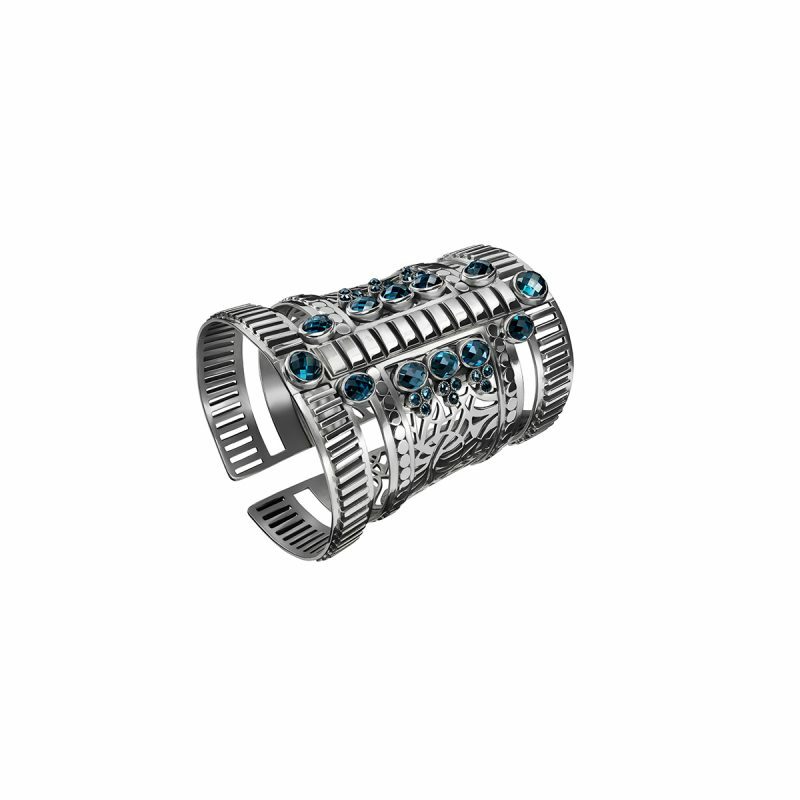 The Rajasthani Floral Cuff is inspired by antique Rajasthani jewellery, a levelled Sterling Silver cuff adorned with hand-pierced floral and lace motifs, and 38.5ct London Blue Topaz stones. Part of the Gypsy Collection by Azza Fahmy. Recalling the mysterious and intriguing dunes of the desert, the collection is inspired by the freedom and independence of gypsy women.